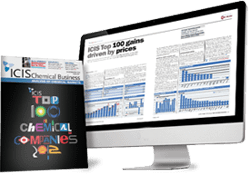 The ICIS Hydrochloric Acid report covers both the European and US markets and is published on a weekly basis. 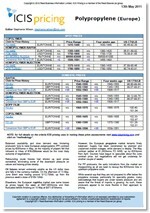 Both regions focus on pricing assessments for technical grade material. 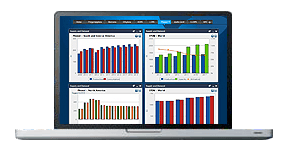 Our locally based reporters analyse market news and intelligence to compile a report containing overviews, related product updates, production schedules, economic news and graphs. This is a valuable tool for you to use to support your commercial decision-making. European hydrochloric acid (HCl) Q1 supply was fairly stable in northwest Europe compared to the previous quarter, although higher logistics costs resulted in increases in yearly contract prices. In Iberia, the market was relatively tight in the early part of the quarter as a result of a logistics-based force majeure by producer Covestro. This was resolved in late January, and as a consequence spot and domestic prices in the market and the Mediterranean as a whole fell towards their previous levels in March. European HCl demand was stable to slightly higher in Q1 2019 compared to the previous quarter. The new Aliphos di-calcium phosphate (DCP) plant in Dunkirk, France, which consumes HCl, achieved higher utilisation rates than in the previous quarter, resulting in somewhat higher structural demand in France. HCl typically sees little seasonality impact in demand, although business activity in general rose compared to the quiet December season in Europe. US hydrochloric acid (HCl) prices lowered during the first quarter as supply overran demand in the oilfield. Lower oil prices prompted US drillers, who use HCl in the hydraulic fracturing portion of drilling operations, to cut spending. At the same time, US producers ticked up production. Some producers lowered production rates late in the quarter to rebalance the market. Supply is expected to remain relatively long until oil prices track into the upper $60s/bbl. Demand for US HCl dipped during the first quarter as oil and natural gas exploration and production companies reduced drilling budgets. The reduction in oil prices caught the industry by surprise and the reduction in drilling budgets at the beginning of the year rippled through the HCl market. Demand for acid for hydraulic fracking operation is expected to pick up as oil prices rise. We offer the following regional Hydrochloric acid analysis and news coverage to keep you informed of factors and developments affecting prices in the Hydrochloric acid marketplace. Over 25 years of reporting on key chemicals markets, including Hydrochloric acid, has brought global recognition of our methodology as being unbiased, authoritative and rigorous in preserving our editorial integrity. Our global network of reporters in Houston, London, Singapore, Shanghai, Guangzhou, Mumbai, Perth and Moscow ensures unrivalled coverage of established and emerging markets. Hydrochloric acid (HCl) can be produced in two ways, either by burning chlorine (burner grade) to produce semi-conductor or top of the range chemically pure strengths or as a by-product of various chlor-alkali processes. Hydrochloric acid can be manufactured by direct synthesis where hydrogen and chlorine are reacted in a burner to produce hydrogen chloride. However, much hydrochloric acid is produced as a by-product of other processes such as vinyl chloride monomer (VCM), chlorinated methanes and ethanes, and fluorocarbons. Applications for hydrochloric acid include steel manufacture where is used as a pickling agent, food manufacture in the canning process, and brick cleaning and concrete etching. It is also used in pulp and paper, chemical and water treatment, the electronics industry and pharmaceuticals. Domestic uses include many household cleaning products. Hydrochloric acid presents a number of hazards as it is corrosive and can cause serious burns to skin and eyes. Personal protective equipment should always be worn when handling hydrochloric acid.